Computational neuroanatomy based on magnetic resonance imaging (MRI) provides a framework for in vivo assessment of brain structure in movement disorders, demonstrating diagnostic potential in early clinical stages next to ability to monitor therapy effects, and/or disease progression. Recent methodological developments in MR physics and data analysis have brought further insight into the pathophysiology of neurological disorders. Volume-, shape-, and surface-based computational neuroanatomy techniques allow for sensitive and reliable differentiation of phenotype–genotype-related traits and their interaction even at presymptomatic stages of disease. Analysis of multiparameter MR data sheds light on specific brain tissue property changes linking noninvasive imaging with the pathophysiology of a particular movement disorder. Given the steadily growing number of MRI-based computational neuroanatomy studies in movement disorders, this chapter can only focus on major themes within the published literature. 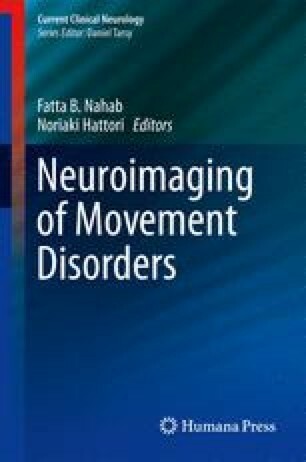 The first section of this chapter outlines recent advances in MR data acquisition, processing, and analysis touching on general principles of computational neuroanatomy followed by a section on morphometry in specific movement disorders.